Last week I taught a Copic Lunch Bunch at Creative Cuts and Crafts. 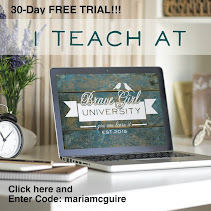 It was the first Lunch Bunch I taught...basically everyone that signs up for the class comes and we have a light lunch and then dive into the class. FUN! Here are the three cards that I designed and taught. Man card using Door County Stamps. 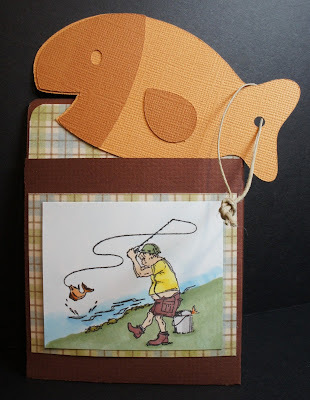 The Pocket Card is from the Cricut Sentimentals Cartridge and the fish is from Create a Critter. 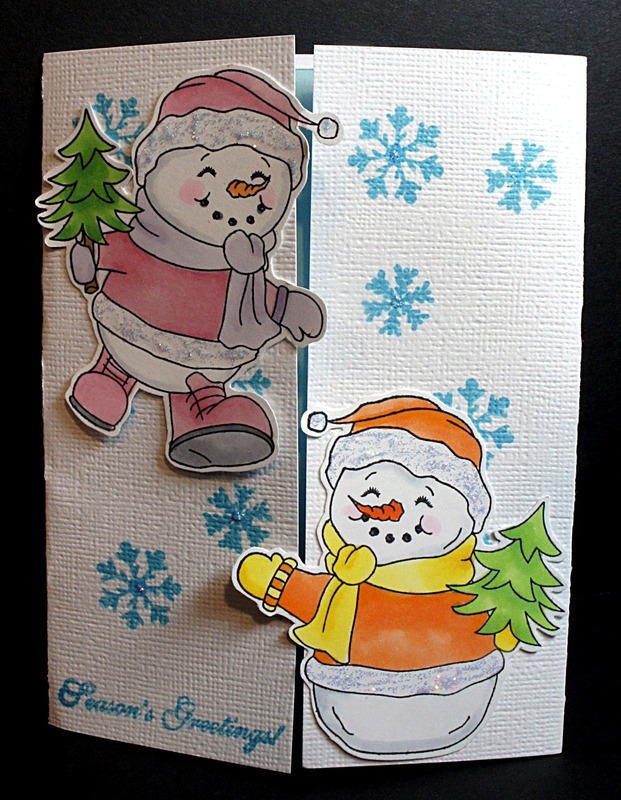 Snowflake card using Art Impressions Stamps. The snowflake is from the Wrap It Up Cricut Cartridge. 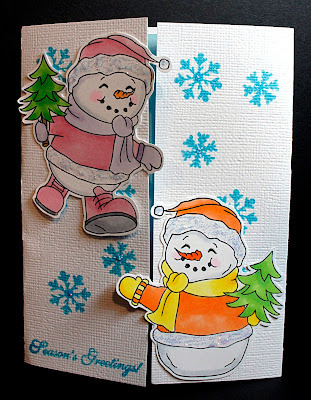 Snow Border is from the Martha Stewart Seasonal Cake Cricut Cartridge. 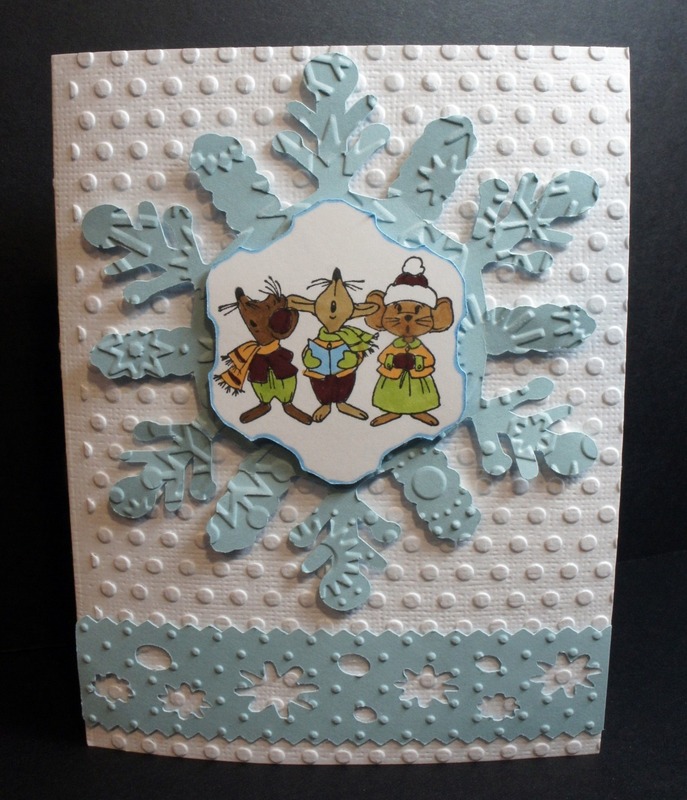 The Card was embossed with the Polka Dots, Swiss Dots and Snowflake Cuttlebug Folders. 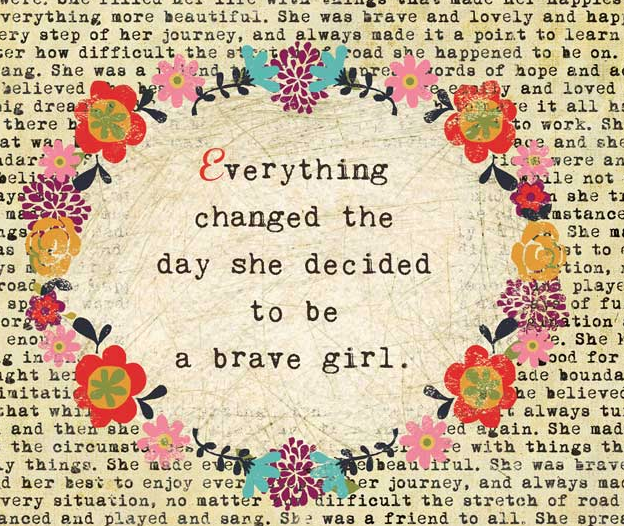 I think they are all nice.